analysing the interdependency between media exposure and behavioural patterns. 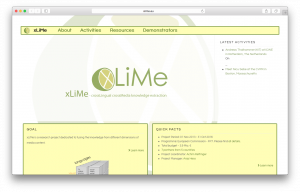 For more information please visit www.xlime.eu. xLiMe kickoff meeting in Karlsruhe, November 2013. This project has received funding from the European Union’s Seventh Framework Programme for research, technological development and demonstration under grant agreement no. 611346.